Composites obtained by powder metallurgy from a mixture of copper powders and graphene nanosheets are studied. 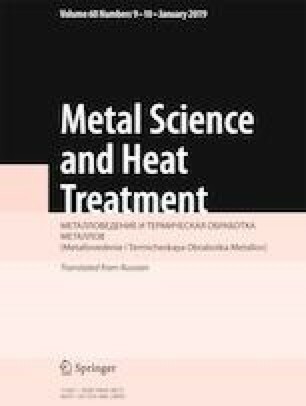 The response surface methodology is used to design the regression dependence of the HRC hardness of the composites on the temperature, the duration of the sintering, and the sintering heating rate. Adequacy of the model for predicting the hardness of the composites is demonstrated. Optimum parameters for sintering copper/graphene nanosheet composites are determined. Translated from Metallovedenie i Termicheskaya Obrabotka Metallov, No. 9, pp. 57 – 61, September, 2018. The authors acknowledge gratefully the financial assistance of the Board of Research in Nuclear Science of the Department of Atomic Energy of the Government of India under project sanction No. 34/14/64/2014-BRNS/2140.